The Spanish Missions in the Americas were Catholic missions established by the Spanish Empire during the 16th to 19th centuries in areas extending from Mexico and southwestern portions of current-day United States to as far south as Argentina and Chile. 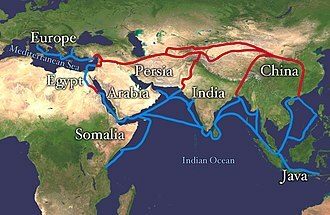 At the start of the Age of Discovery, European governments sent explorers to find trade routes to facilitate economic relations with Asia and Europe. 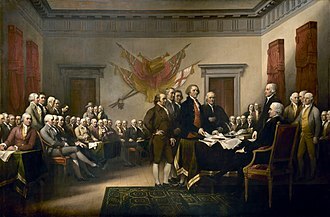 During this time, these men found the new lands that could be used for the economic benefit of their home countries. In order to understand these new lands and the resources that might be available, explorers fostered relationships with the native people. This led to the colonization of the Americas. The Catholic Church was an essential part of both the Spanish and Portuguese Empires so as the empires spread to new lands, it was the duty of the King to be sure Christianity was spread into the New World. Often these empires used missions to teach indigenous people about Christian values that were practised in Europe at this time. These values did not only include religious teachings but cultural aspects of life such as dress and behavior. Missions were formed in different ways across the Americas that have had a lasting impact on the culture of these areas. Catholicism is still a prevalent religion in both North and South America. The formation and implementation of the missions across the New World reflected the beliefs of the Catholic clerics who created and implemented the missions. In the Catholic church, monks, priests and other clerics take vows and are affiliated with a certain order. These orders, their ideologies, and era can be linked to the way of life and teaching in the missions. Despite extensive efforts and even successes in recovering the cultural history of the cultures colonized in the Americas, much of the evidence currently available comes from the colonizers themselves. Many of the cultures impacted by missionaries had no written language and were thus robbed of much of their oral history when the populations were decimated by Old World illnesses. Cultures that did possess written language, such as the Maya, often had their artifacts deemed sacrilegious and burned. Therefore, much of the evidence of these events comes from accounts of missionaries and—to a much smaller extent—archaeological investigation, and should be handled with care. Therefore, readers should consider the ethnocentric and theocratic context in which accounts recorded by missionaries are presented. Catholic missions were installed throughout the Americas in an effort to establish European order in the pursuit of gold, silver, and other resources. The missionaries' goal was to convert natives to Christianity and ease the transition into a colonial system and minimize the friction required to establish European dominance in the area. One symbolic example of this was the practice of constructing churches and cathedrals, such as Santa Domingo and Cathedral Basilica of Our Lady of the Assumption, on top of demolished native temples. 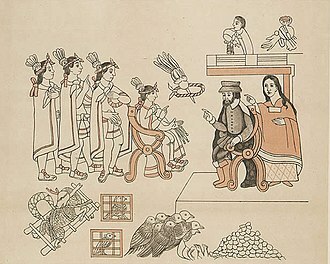 Establishment of missions was often followed by the implementation of Encomienda systems, which forced native labor onto land granted to Europeans by the Spanish Crown and led to systematic oppression. Pedro de Gante was a European missionary who desired assimilation of Native American communities in order to further educational discourse amongst indigenous communities. He was so influential in his work, he became known as "The first teacher of the Americas". Originally, Peeter Van der Moere, Pedro de Gante, came to New Spain, in 1523 also known as Mexico. A missionary, Pedro de Gante, wanted to spread the Christian faith to his native brothers and sisters. 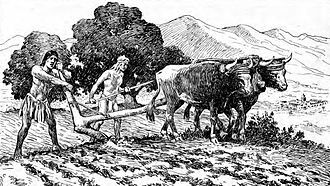 During this time, the mentality of the Spanish people was to not empower the indigenous people with knowledge because it would give them motivation to retaliate over their Spanish rulers. Nevertheless, Pedro de Gante saw the ritualistic practices being made by the indigenous, sacrificing animals, and as a missionary, saw the need for a change in faith. He decided in order to best approach theses indigenous communities he had to adapt to their way of life. He learned their native tongue and participated in their conversations and games. Despite having a stutter, he was a successful translator of Nahuatl and Spanish. Additionally, Pedro de Gante was a big advocate of education of the youth, where he established schools throughout Mexico to cater to the indigenous communities. His influence spanned so wide, others like him followed by example. Of the future missionaries to come to America, at least three of his compatriots came. Pedro de Gante living quarters before expedition. In addition to the encomienda system, the aggressive implementation of missions and their forcible establishment of reductions and congregations led to resistance and sometimes revolt in the native populations being colonized. Many natives agreed to join the reductions and congregations out of fear, but many were initially still allowed to quietly continue some of their religious practices. However, as treatment of natives grew worse and suppression of native customs increased, so did the resistance of the natives. 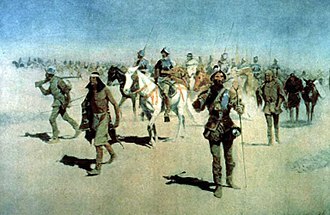 The most notable example of rebellion against colonization is the Pueblo Revolt in 1680, in which the Zuni, Hopi, as well as Tiwa, Tewa, Towa, Tano, and Keres-speaking Pueblos took control of Santa Fe and drove the Spanish colonial presence out of New Mexico with heavy casualties on the Spanish side, including 21 of the 33 Franciscan missionaries in New Mexico. The region remained autonomous under native control despite multiple non-violent attempts at peace treaties and trade agreements until 1692. 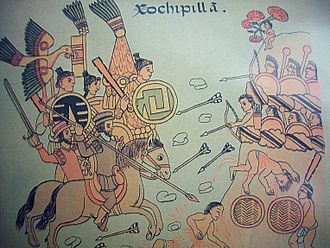 The Tepehuan Revolt was likewise stirred by hostilities against the missionaries, which arose due to the concurrent and explosive rise in disease that accompanied their arrival. The Tepehuan associated the rise in death directly with these missionaries and their reductions, which spread disease and facilitated exploitative labor to encomanderos and miners. The revolt lasted from 1616 to 1620 with heavy casualties on both sides, during which time the Spanish abandoned their policy of "peace by purchase (tribute)" in favor of "war of fire and blood". With resistance and revolts, the native population dropped drastically with the introduction of Spanish missions. However, the main factor for the overwhelming losses were due to epidemics in the missions. Despite being affected before the introduction of missions, the buildings allowed rodents to infiltrate living areas and spread disease more rapidly. Many natives were living in cramped spaces with poor hygiene and poor nutrition. This led not only to high mortality rate, but to low fertility rates as well. It is estimated that every 20 years or so, a new epidemic would wipe out the adult population of natives in many missions, giving no chance for recovery. In converting natives, missionaries had to find various ways of implementing sacramental practices among them. 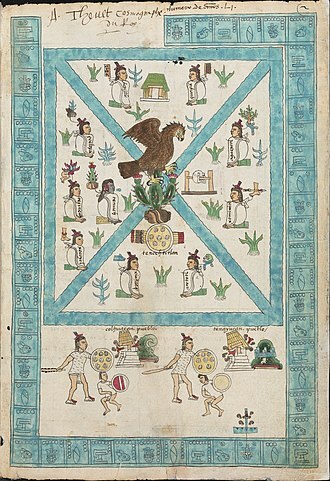 Some sacraments, like Baptism, were already similar to the Nahuatl rituals during birth, usually performed by a midwife. Many missionaries even allowed for natives to keep some aspects of their original ritual in place, like giving the child or newborn a small arrowhead or broom to represent their future roles in society, as long as it complied with Catholic beliefs. Other sacraments, like Matrimony, were fairly different from native practices. Many natives were polygamous and to perform the sacrament of marriage, Franciscan friars would have a husband bring his many wives to the church, having them all state their reasons for being the one true wife. The friars would then decide based on the testimony who was his wife and perform the sacrament. In addition to religious changes, Spanish missionaries also brought about secular changes. With each generation of natives, there was a gradual shift in what they ate, wore and how the economy within the missions worked. Missionaries introduced adobe style houses for nomadic natives and domesticated animals for meat rather than wild game. The Spanish colonists also brought more foods and plants from Europe and South American to regions that initially had no contact with nations there. Natives began to dress in European-style clothing and adopted the Spanish language, often morphing it with Nahuatl and other native languages. Franciscan missionaries were the first to arrive in New Spain, in 1523, following the Cortes expeditions in Mexico, and soon after began establishing missions across the continents. In addition to their primary goal of spreading Christianity, the missionaries studied the native languages, taught children to read and write, and taught adults trades such as carpentry and ceramics. The first missionaries to arrive in the New World were Franciscan friars from the observant faction which believed in a strict and limited way of practicing religion. Because the friars believed teaching and practicing can only be done through "meditation and contemplation", Franciscans were not able to convert as many people as quickly as the Spanish would have liked. This caused strain between colonial governments and Franciscan friars, which eventually led to several of the friars fleeing to present day western Mexico and the dissolution of Franciscan parishes. Other issues also contributed to the dissolution of Franciscan parishes including the vow of poverty and accusations made by the colonial governments. However, Spanish missions often used money provided by the King to fund missions. Having friars taking money proved to be a controversial issue within the church. In addition, the colonial government claimed missionaries were mistreating indigenous people who were working on the missions. On the other hand, the Franciscan missionaries claimed that the Spanish government enslaved and mistreated indigenous people. 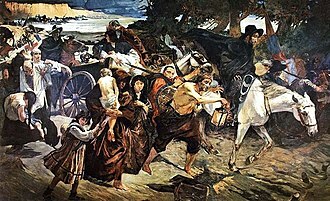 Present day efforts are to show where Franciscan missionaries protected the indigenous people from Spanish cruelties and supported empowering the native peoples. The Jesuits had a wide-spread impact between their arrival in the New World about 1570 until their expulsion in 1767. 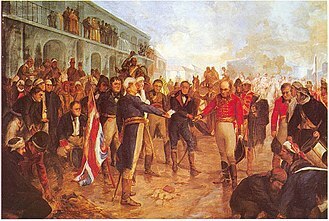 The Jesuits, especially in the southeastern part of South America, followed a widespread Spanish practice of creating settlements called "reductions" to concentrate the widespread native populations in order to better rule, Christianize, and protect the native populace. The Jesuit Reductions were socialist societies in which each family would receive a house and field, and individuals were clothed and fed in return for work. Additionally, the communities would include schools, churches, and hospitals as well as native leaders and governing councils to be overseen by two Jesuit missionaries in each reduction. Like the Franciscans, the Jesuit missionaries learned the local languages and trained the adults in European methods of construction, manufacturing, and, to a certain extent, agriculture. Spanish settlers were prohibited from living or working in reductions. This led to a strained relationship between Jesuit missionaries and the Spanish because in surrounding Spanish settlements people were not guaranteed food, shelter, and clothing. 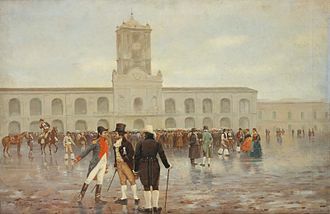 The Dominicans were centralized in the Caribbean and Mexico and, despite a much smaller representation in the Americas, had one of the most notable histories of native rights activism. Bartolomé de las Casas was the first Dominican bishop in Mexico and played a pivotal role in dismantling the practice of "encomenderos",these laws were intended to prevent the exploitation and mistreatment of the indigenous peoples of the Americas by the encomenderos, by strictly limiting their power and dominion over groups of natives, with the establishment of the New Laws in 1542. ^ "The Impact of European Diseases on Native Americans – Dictionary definition of The Impact of European Diseases on Native Americans | Encyclopedia.com: FREE online dictionary". www.encyclopedia.com. Retrieved 2017-10-19. ^ 1524–1579., Landa, Diego de (1978). Yucatan before and after the conquest. New York: Dover Publications. ISBN 9780486236223. OCLC 4136621. ^ "History of Spanish Colonial Missions | Mission Initiative". missions.arizona.edu. Retrieved 2017-10-27. ^ "Cathedral of Cusco City". www.qosqo.com. Retrieved 2017-10-27. ^ a b L. Campos. 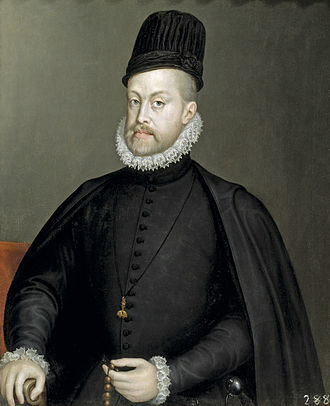 Gante, Pedro De. Detroit: Gale, 2007, 89. ^ Lipp, Solomon. Lessons Learned from Pedro de Gante. American Association of Teachers of Spanish and Portuguese. Hispania, 1947, 194. ^ The Editors of Encyclopaedia Britannica. Pedro de Gante. Encyclopaeida Britannica, Inc., 1998. ^ Proano, Agustin Moreno. The Influence of Pedro de Gante on South American Culture. Artes de Mexico: Margarita de Orellano, 1972. ^ May), Gradie, Charlotte M. (Charlotte (2000). The Tepehuan Revolt of 1616 : militarism, evangelism and colonialism in seventeenth century Nueva Vizcaya. Salt Lake City: University of Utah Press. p. 26. ISBN 978-0874806229. OCLC 44964404. ^ May), Gradie, Charlotte M. (Charlotte (2000). The Tepehuan Revolt of 1616 : militarism, evangelism and colonialism in seventeenth century Nueva Vizcaya. Salt Lake City: University of Utah Press. p. 121. ISBN 978-0874806229. OCLC 44964404. ^ Powell, Phillip W. (1952). 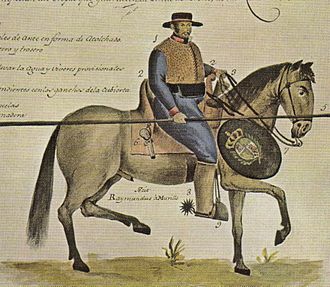 Soldiers, Indians, and Silver: The Northward Advance of New Spain, 1550–1600. Berkeley: University of California Press. ^ Newson, Linda. "The Demographic Impact of Colonization." 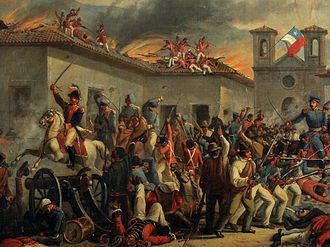 The Cambridge Economic History of Latin America. Vol. 1. Cambridge: Cambridge UP, 2005. ^ Reilly, Penelope. The Monk and the Mariposa: Franciscan Acculturation in Mexico 1520–1550(2016). ^ Jackson, Robert H., and Edward D. Castillo. Indians, Franciscans, and Spanish Colonization : The Impact of the Mission System on California Indians. 1st ed. Albuquerque: U of New Mexico, 1995. 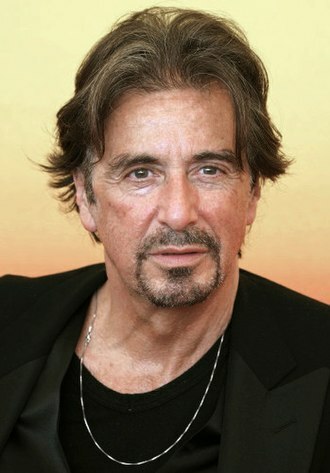 ^ Page, Melvin E (2003). Colonialism : an international social, cultural, and political encyclopedia. Sonnenburg, Penny M. Santa Barbara, Calif.: ABC-CLIO. p. 418. ISBN 978-1576073353. OCLC 53177965. ^ Higham, Carol L. (9 May 2016). "Christian Missions to American Indians". Oxford Research Encyclopedia of American History. doi:10.1093/acrefore/9780199329175.001.0001 (inactive 2019-02-17). ^ Schwaller, John F. (October 2016). "Franciscan Spirituality and Mission in New Spain, 1524–1599: Conflict Beneath the Sycamore Tree (Luke 19:1–10) by Steven E. Turley (review)". The Americas. 73:4: 520–522. ^ Caraman, Philip (1976), The lost paradise: the Jesuit Republic in South America, New York: Seabury Press. ^ "CATHOLIC ENCYCLOPEDIA: Reductions of Paraguay". www.newadvent.org. Retrieved 2018-07-27. ^ "Bartolome de Las Casas | Biography, Quotes, & Significance". Encyclopedia Britannica. Retrieved 2017-11-03. ^ Whitaker, Arthur P. (1982). "Rim of Christendom: A Biography of Eusebio Francisco Kino, Pacific Coast Pioneer Herbert Eugene Bolton Eusebio Francisco Kino". Pacific Historical Review. 6 (4): 381–383. doi:10.2307/3633889. ISSN 0030-8684. JSTOR 3633889. ^ "Bartolome de Las Casas | Biography, Quotes, & Significance". Encyclopedia Britannica. Retrieved 2017-10-20. Logan Wagner, E. The Continuity of Sacred Urban Open Space: Facilitating the Indian Conversion to Catholicism in Mesoamerica. Austin: Religion and the Arts, 2014. Yunes Vincke, E. "Books and Codices. Transculturation, Language Dissemination and Education in the Works of Friar Pedro De Gante." Doctoral Thesis (2015): Doctoral Thesis, UCL (University College London). Web. The missions introduced European livestock, fruits and industry into the Texas area. 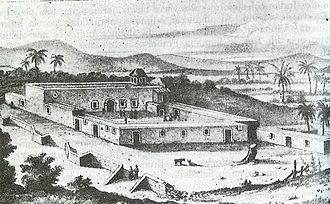 In addition to the presidio and pueblo, the misión was one of the three major agencies employed by the Spanish crown to extend its borders and consolidate its colonial territories. In all, twenty-six missions were maintained for different lengths of time within the boundaries of the state of Texas. Since 1493, Spain had maintained missions throughout New Spain to facilitate colonization, following government policy, Franciscan missionaries sought to make life within mission communities closely resemble that of Spanish villages and Spanish culture. To become Spanish citizens and productive inhabitants, Native Americans learned vocational skills, as plows, farm implements, and gear for horses and mules fell into disrepair, blacksmithing skills soon became indispensable. Weaving skills were needed to clothe the inhabitants. As buildings became more elaborate, mission occupants learned masonry and carpentry under the direction of craftsmen contracted by the missionaries, their communities could be incorporated as such into ordinary colonial society. This transition from official status to ordinary Spanish society, when it occurred in an official manner, was called secularization. Although colonial law specified no precise time for transition to take effect. This had resulted too often in the abuse and even enslavement of the Indians, Spanish Texas was a part of New Spain. On its southern edge, Texas was bordered by the province of Coahuila, the boundary between the provinces was set at the line formed by the Medina and the Nueces Rivers,100 miles northeast of the Rio Grande. On the east, Texas bordered French Louisiana, although Spain claimed that the Red River formed the boundary between the two, France insisted that the border was the Sabine River,45 miles to the west. The first mission established within the boundaries of Spanish Texas was San Francisco de la Espada, in 1689, Spanish authorities found the remnants of a French settlement, Fort Saint Louis. During their expedition, the Spanish met representatives of the Caddo people, the Caddo expressed interest in learning about Christianity, and the following year Alonso De León led an expedition to establish a mission in East Texas. The Santo Domingo Church, known as National Shrine of Our Lady of the Holy Rosary of La Naval de Manila, is the largest church in Metro Manila and one of the biggest churches in Asia. The first Catholic missionaries to arrive in Manila were Spanish Agustinians who came in 1571 with Miguel Lopez de Legazpi, the Francsicans came a few years later, in 1578. It was in 1587 that the first Dominicans arrived in Manila from Cádiz and they were welcomed by Domingo Salazar, Bishop of Manila. The order temporarily stayed at the Franciscan convent in Manila while some of them were sent to Pangasinan and Bataan to start their missionary work, Salazar sponsored 3,000 pesos for the construction of the church and 300 pesos for the purchase of land. A small church was erected on August 6,1587, made from light materials, in January 1,1588, the chapel was inaugurated and it enshrined the Miraculous image of Our Lady of the Rosary from Mexico. In 1589, the church was destroyed by an earthquake. Because the roof had collapsed, the Dominican friars decided to build a church made from stronger materials. 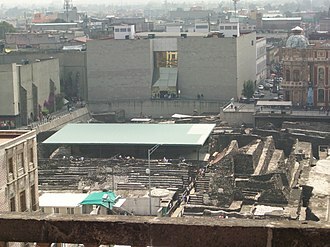 Through the direction of Father Alonzo Jiménez, the church was made from stone. 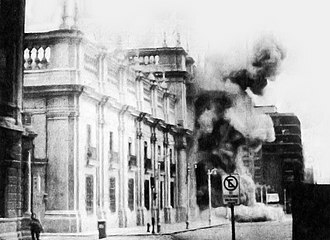 Contributions were given by Captain Castillo, María Pérez, and Captain Domingo Mendiola, the church was inaugurated on April 9,1592. A fire of April 30,1603, which destroyed a third of a city, almost immediately built a third church was built and more costly. It contained a stone vault as precaution against fire and earthquake, though made of stone, it was destroyed by another earthquake on November 30,1645. A fourth church of stone and hardwood was built, there were wooden arches and three naves inside the church. This time, wooden posts supported the roof and divided the church into a nave with side aisles. The artistic interior designs were executed under the direction of Father Francisco Gainza, the church took two years to build. The structural soundness of the church made it last for 250 years, initiated by Father Castro, A new façade flanked by two towers and patterned after London’s St. Paul’s Cathedral designed by Christopher Wren, was built for the church. The Spanish Missions in New Mexico were a series of religious outposts in the Province of Santa Fe de Nuevo México — present day New Mexico. They attempted to Hispanicize the indigenous peoples, the affected included the rich cultures and tribes of, many of the 21 distinct Puebloan groups, the Tiwa, the Navajo, and the Apache. The missions aimed to pacify resistance to the European invasion of the tribes Pre-Columbian homelands, the missions introduced European livestock, fruits and small-scale industry into the Southwest region. They introduced European diseases that the people had no immunity against. Fray Marcos de Niza, sent by Coronado, first saw the now known as New Mexico in 1539. The first permanent settlement was Mission San Gabriel, founded in 1598 by Juan de Oñate near what is now known as the San Juan Pueblo, see Isleta Pueblo Mission San Buenaventura de Cochiti - Completed in 1628, renovated in the 1960s. See Cochiti Pueblo Mission San Esteban del Rey de Acoma - Established 1629 and completed in 1641, Mission San Felipe - Built on the site of a previous church Mission San Gregorio de Abó - Established in 1640 by Fray Francisco Acevedo. Ruins are now part of the Salinas Pueblo Missions National Monument, Mission San Ildefonso - The original mission church was built in 1711, but was destroyed. Mission San Isidro and Mission San Buenaventura de Humanas - the ruins are part of the Salinas Pueblo Missions National Monument Mission San José de los Jémez - Established in 1621, now in ruins. Mission Nuestra Señora de Perpetuo Socorro, today known as the Mission San Miguel - Established in 1598 by Fray Alfonso Benavidez, San Miguel Mission Chapel is said to be the oldest church still in use in the United States. Mission San José de Laguna - built in 1699, see Laguna Pueblo Mission San Lorenzo de Picurís—established circa 1620. Mission Santa Ana - Completed in 1750, Mission Santo Domingo - The original mission church was destroyed by flooding of the Rio Grande. San Francisco de Asis Mission - Ranchos de Taos San Miguel Mission - Santa Fe Mission La Purisima Concepcíón de Hawikuh - Established in 1628, Mission Nuestra Senora de Guadalupe de Zuni - Still in use. The Hopi are a Native American tribe, who primarily live on the Hopi Reservation in northeastern Arizona. According to the 2010 census, there were 19,327 Hopi in the United States, the Hopi language is one of 30 in the Uto-Aztecan language family. The majority of Hopi people are enrolled in the Hopi Tribe of Arizona, the Hopi Reservation covers a land area of 2,531.773 sq mi. When first encountered by the Spanish in the 16th century, the Hopi, the Hopi are descended from the Ancient Pueblo Peoples who constructed large apartment-house complexes in northeastern Arizona, northwestern New Mexico, and southwestern Colorado. They lived along the Mogollon Rim, especially from the 12th–14th century, the name Hopi is a shortened form of their autonym, Hopituh Shi-nu-mu. The Hopi Dictionary gives the meaning of the word Hopi as, behaving one, one who is mannered, peaceable, polite. In the past, Hopi sometimes used the term Hopi and its cognates to refer to the Pueblo peoples in general, in contrast to other, Hopi is a concept deeply rooted in the cultures religion and its view of morality and ethics. The Hopi observe their traditional ceremonies for the benefit of the entire world, Hopi are organized into matrilineal clans. When a man marries, the children from the relationship are members of his wifes clan and these clan organizations extend across all villages. Children are named by the women of the fathers clan, on the twentieth day of a babys life, the women of the paternal clan gather, each woman bringing a name and a gift for the child. In some cases where many relatives would attend, a child could be given over forty names, the childs parents generally decide the name to be used from these names. Current practice is to use a non-Hopi or English name or the parents chosen Hopi name. A person may change the name upon initiation into one of the religious societies, such as the Kachina society. The Hopi have always viewed their land as sacred, agriculture is a very important part of their culture, and their villages are spread out across the northern part of Arizona. The Hopi and the Navajo did not have a conception of land being bounded and divided and they lived on the land that their ancestors did.